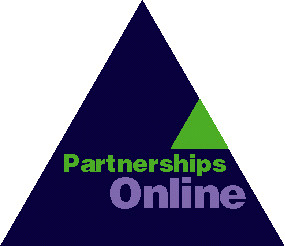 It provides a formal start line if used at the beginning, when you can outline the overall process of creating the partnership. It is a good time to attract media coverage. lt is an opportunity for social contacts. It is a deadline for making decisions and preparing materials. It provides an opportunity to recognise the contribution of partners. See also the Start up process information sheet. Anyone setting up a Development Trust will need legal advice on a number of fronts: for example on the formal incorporation of the company, the liabilities of Board members, on contracts of employment and on leases. All these areas are minefields for new organisation. They are particularly complex for charitable companies like Development Trusts. It is essential to take advice from a solicitor who specialises in the field. Local authorities may offer the services of their legal departments, but this is not always the best route to go unless the officers involved have extensive experience with charitable companies, the time to carry out the work, and are acting independently of the other interests of the council (perhaps as funder or landowner). The management committee is the governing body for a project or organisation, to which staff are accountable. In a company it is the Board of directors. Development trusts, their Boards and staff, must be competent in the business, financial and staff management of their organisation. Terms like community, partnerships, Trust are beguiling &endash; it is easy to forget that they are no substitute for sound management. See each of these topics for further discussion, and the Management information sheet. A strong graphic identity - a name, logo and design style. The shortest material &endash; perhaps a leaflet &endash; is often the most difficult to produce because it challenges the partnership to get across its main messages. See also the information sheet on Materials. Local media can be a great ally for a new partnership &endash; or the vehicle for constant sniping from critics. Remember news media is mainly in the business of interesting and entertaining its users, and of selling itself or advertising. It is not there as a public service to promote you. Journalists need an interesting story to tell. Would your story be worth telling to a friend outside the project? If not, why should readers or viewers be interested? Consider why you want coverage &endash; for example, to publicise an event, get enquiries, show supporters or funders what you are achieving. lf possible identify a reporter covering your field, or link your story to other current events. Try and turn your story into an opportunity for pictures: essential for television, likely to get you more space in newspapers. Prepare a press release and expect to deal with newspaper reporters on the telephone. However, stay in touch with anyone you deal with and try to meet at some stage. Personal contacts generally produce more sympathetic stories, and are invaluable if you later face a difficult situation which could lead to adverse coverage. Style of the meeting. If it is to be a creative workshop rather than a committee, make sure people know that in advance. An accessible venue (public transport, disabled access). Child care (crèche, financial assistance). What information and notice is appropriate beforehand. Provide papers with options for formal meetings, but only an outline for a workshop so that people are spontaneous. Any aids you will need: charts, projectors etc. The layout of the room, and scope for breaking into small groups. Avoid a platform and lecture-style seating . Good management of the meeting itself, and follow-up. See also Action plans, Committees, Public meetings, Workshops. Companies limited by guarantee, which are the usual structure for Development Trusts, have provision for members rather than shareholders. Members may be individuals or organisations, and may have rights to appoint directors. Their powers are defined by the constitution &endash; the memorandum and articles of association of the company. The constraints on the scope and powers of members are generally not legal. The question for those developing trusts and other partnerships is how wide or narrow do you wish the power base to be. Mission is what you wish to achieve. The term is much favoured in business management, but can confuse people with its military or evangelical overtones. 'Purpose' is an alternative, although it has a slightly different sense &endash; I think mission has a stronger emphasis on end result. See also Aims and objectives, Outcomes, Purpose. Check that you agree on your aims and objectives. Develop priorities by drawing up a Time Line. Follow the Plan, Act , Review cycle. What issues people consider important. The sort of ideas and language they find familiar. Who are the key people and organisations &endash; the stakeholders. Networking is important before other more formal information-giving like producing leaflets, staging exhibitions and holding meetings. National networking organisations may also be able to provide you with local contacts, and similar projects elsewhere. The opposite of ownership, and one of the most significant barriers to participation and partnership. People are far more likely to participate effectively in partnerships if they play a part in developing ideas and action plans. Officers who believe that they know best. Councillors who believe they are the sole voice of the community. Insisting all decision-making processes follow the local authority political and statutory framework. Fighting this head on consumes a lot of energy. Instead identify some allies, find out their agendas and &endash; if possible &endash; run some workshop which gets people out of committee mode and into some more creative thinking. Outputs are the measurable results of projects or programmes &endash; homes built, people who have completed training &endash; and are dear to funders who want to know what they are getting for their money. Informal partnerships work best when the project is specific and clearly achievable. Where the task is complex and long term it may be necessary to create a more formal structure for decision-making. It is difficult to tackle a wide range of issues through an informal partnership. It is better to treat this as consultation. Simply setting up a partnership structure doesn't solve the problems. You still need to clarify joint purpose, values etc. Partnerships do not have to be equal &endash; but the various parties do need to feel that they are involved to an appropriate degree. A major problem for partnerships is that the potential partners usually have different views of the world &endash; different agendas, organisational cultures, priorities. This is a simple technique in which a group uses past experiences to think about the future. 2 Provide each group with a large piece of paper label PAST at the top, and FUTURE at the bottom, and about 20 Post-it notes. 3 Each group member writes what they thought most worthwhile or successful in the past, and what they should be tackling in future. One point to a note. 4 People stick notes on the appropriate part of the paper, and cluster them when they are similar. 5 Small groups report back to the larger group. Adapted from Training and How to Enjoy It, John Grayson. Plan how you will achieve your aims. Take action on the basis of these plans. If necessary, modify your plans. People are aware of the 'real world' constraints on making physical and other changes. It is clear where responsibility for decisions lies, and who will takes ideas forward. lf community interests are to be involved in implementation, there is support and training for organisational development. Do all key interests have an equal ability or opportunity to participate in developing in the partnership if they wish? Who designs the partnership building process; to whom are they accountable? Who sets the timetable and controls the funds? The rhetoric of partnership can often be used to disempower people if it is used &endash; consciously or unconsciously &endash; to mask these fundamental questions. Presentations are speeches with props. These may range from a simple flip chart to slides and videos. However, the effectiveness of your presentation will depend more on careful planning than technology. The checklist below should help. Define your objective. For example: to inform the audience of our new project and explain how they can be involved. Brainstorm your main ideas using index cards or, if you have one, an outliner on a computer. (This is like a word processor with automatic sub-heading and sub-sub-headings). Keep the main ideas to not more than five if possible. Organise others as sub-points. Put yourself in the place of the audience and think what impression they will get and questions they will ask. If necessary revise your presentation with as much emphasis as possible on benefits for the audience. Prepare your visual aids &endash; flip chart, slides &endash; and a handout. Remember KISS &endash; keep it short, and simple: one main ideas per sheet or slide. Use short phrases only as prompts to your presentation. Journalists are bombarded with press releases and bin most of them. Generally personal contact produces more result on important issues. However, you may well need to produce press releases to announce events, provide background, summarise reports or circulate speeches in advance. Write the release as a news story covering who, why, what, where, when, how. Use a short headline and an interesting first paragraph. Include lively quotes if possible. Use one side of the paper only, wide margins and double spacing. Date the release, and indicate if there is a time embargo on use. Provide a contact number for further enquiries. See also Communication, Five Ws plus H, Media. Trusts need business skills among both staff and Board members. Companies may be able to offer help in kind of premises, equipment and staff time. Occasionally they may offer funding. The private sector will be an important partner in developing Trust projects and programmes. In the long term local businesses are the key to local prosperity and a healthy local economy. Ensure good preparation and publicity. Research and focus on local concerns. Keep any presentations short with opportunities for response. Consider breaking into small groups for some of the time. Choose someone independent and locally respected as chair. Ensure the venue is easily accessible. Build on the results and report back on progress. 1 Who are you trying to reach? For example, members of an organisation, the general public, sponsors, media, politicians. 2 What result do you want? For example, opinions, volunteers, funding, support. 3 How will you respond? For example, personal contact, leaflets, events or in other ways. The answers to these questions will determine your choice of publicity method &endash; for example, exhibitions, media, events, print or audio-visual. See also Communications, Identity and Image, Five Ws plus H.
A statement of purpose, or mission statement, is a summary in a sentence or two of your intention &endash; your aims and objectives. Statements of purpose may start out as broad intentions like 'we aim to create a better place to live and work'. They become meaningful when the aim is followed with statements of how: for example 'by providing advise and support for practical environmental projects'. There may be a number of these 'how to' statements which are objectives. If they are measurable, they become targets. See also Aims and objectives, Mission, Outcomes, Vision. Representation should not be confused with involvement when creating partnerships. A token 'community representative' may become isolated and achieve less than carefully-planned process for wider community participation. On the other hand, if there is no-one on the Board of a partnership organisation to argue for this participation it may not take place.